I'M Cruz Leon, the president of Chicago Brick Paving LLC. I will personally meet with you to plan, design and build your next project on a affordable price using the best products and equipment. We have extensive experience in installing residential and commercial Brick Pavers, Stamped Concrete, Regular Concrete, Drainage Solutions and Retaining Walls. We also do landscaping Installations, we have found that we can truly put our creativity to work designing and building outdoor environments for our customers. 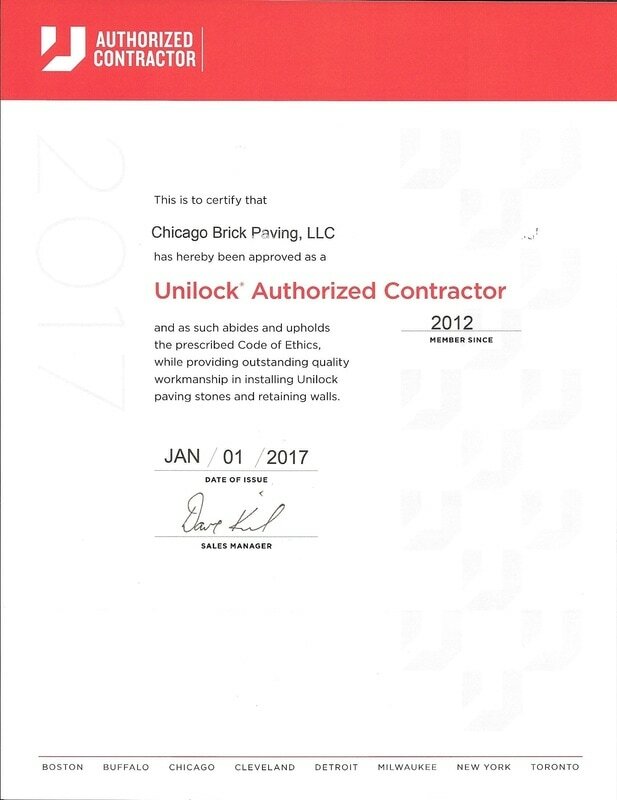 Chicago Brick Paving LLC. Will provide creative and unique solutions for the residential and small commercial projects. We will use quality materials and install them with care and professionalism. We will guarantee our work. Our employees will be trained and equipped with the best knowledge and tools in the industry, and will be rewarded for pleasing the customer. Our company is backed by a small team of respectful and talented employees that have stayed with the company for several years. They are always willing to get started in any project requested by customer. Whit the owner of the company handling a good majority of roles in sustaining the business, customers will benefit. We are also fully licensed and insured for your protection. reviewed. That is why we are able to Guarantee our installations.